Christmas is a time for families and traditions and we’re dedicated to helping you and your family start the Christmas season right! Our mid-1800s era Boone County farmstead, just 40 miles northwest of Indianapolis, overlooks 29 beautiful acres planted in a half-dozen popular varieties of trees. 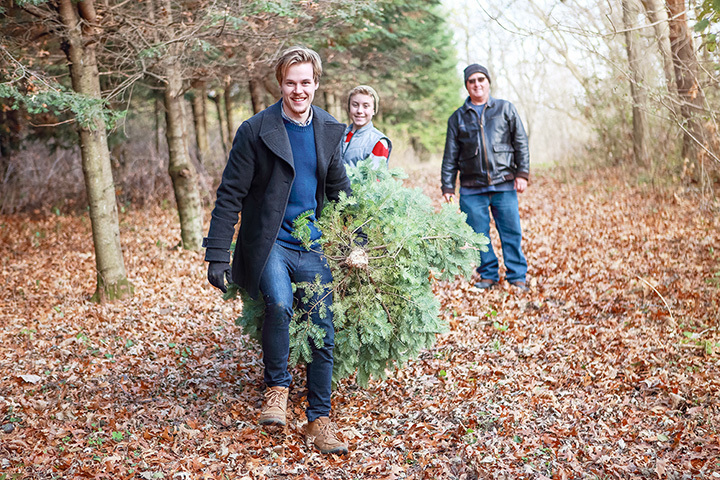 In the field we have Scotch Pine, White Pine and Canaan Fir for you to choose and harvest. And, of course, if you’d rather not go to the field to cut, we have a pre-cut lot where we offer premium Fraser Fir, West Coast Noble Fir, Concolor Fir and Nordman Fir trees. We also have some of our own trees on the precut lot. Bring the whole family for an outing that might just become an annual tradition marking the beginning of the Christmas season.